Many of the key players in the Anthony Sanborn Jr. case – the victim, the star witness, the convicted man now trying to clear his name – called Portland a teen refuge in a grittier time. Before her murder in May 1989, when police divers pulled the 16-year-old’s body from Casco Bay, Jessica L. Briggs lived a life between two worlds, and in the middle was the city of Portland. For Briggs and other teenagers like her, the city was a refuge, where young people like her could live and get by. In the same group was Anthony Sanborn Jr., a stoic, handsome young man with a reputation as a good fist-fighter with a difficult family life. His family’s house on Oxford Street was more a place where he kept his stuff than a real home. Briggs, originally from Augusta, fled the Maine Youth Center to live independently of her father and stepmother, joining an informal, regular crowd of teenagers who left school and lived on the streets, sleeping on friends’ couches or at shelters and eating at soup kitchens. At the time of her death, Briggs was attempting to get her life together. She had a new job and was trying to keep out of trouble, court records show. The police investigation centered on Briggs’ friends and led eventually to Sanborn, a one-time boyfriend of Briggs, according to court records and news reports at the time. When he was convicted at trial in 1992, the jury’s guilty verdict hung largely on the testimony of another troubled girl who was living on the streets: Hope Cady, who was 13 at the time and told detectives that she watched Sanborn kill Briggs on the Maine State Pier. When Cady returned to the witness stand this month for an unprecedented bail hearing for Sanborn, she recanted her version of events. Sanborn was freed on bail, nearly three decades after he was imprisoned for a crime he has maintained he did not commit. Sanborn’s historic release and the ongoing review of his case has highlighted the circumstances and forces that led so many young people to leave their family lives, and how a city in transition was perfectly suited to support them. 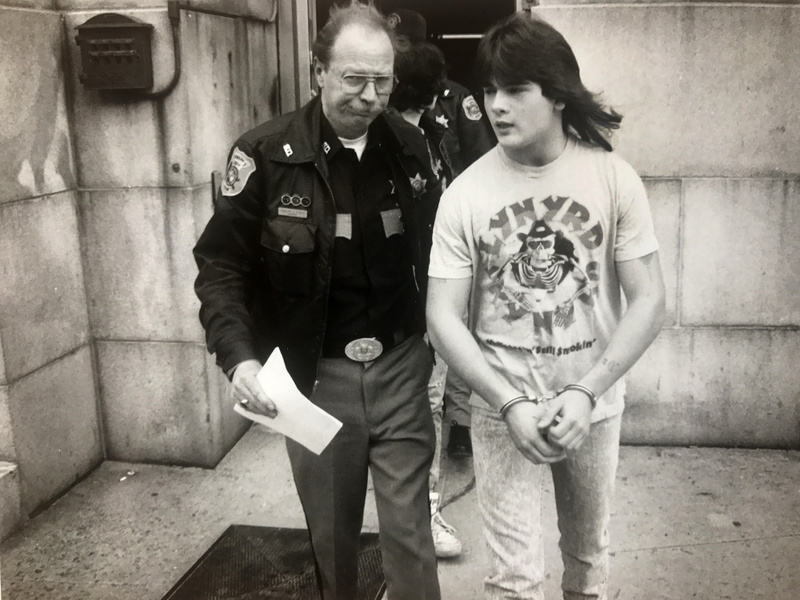 Anthony Sanborn is led from Cumberland County Courthouse while waiting to be arraigned for murder of Jessie Briggs on April 19, 1990. 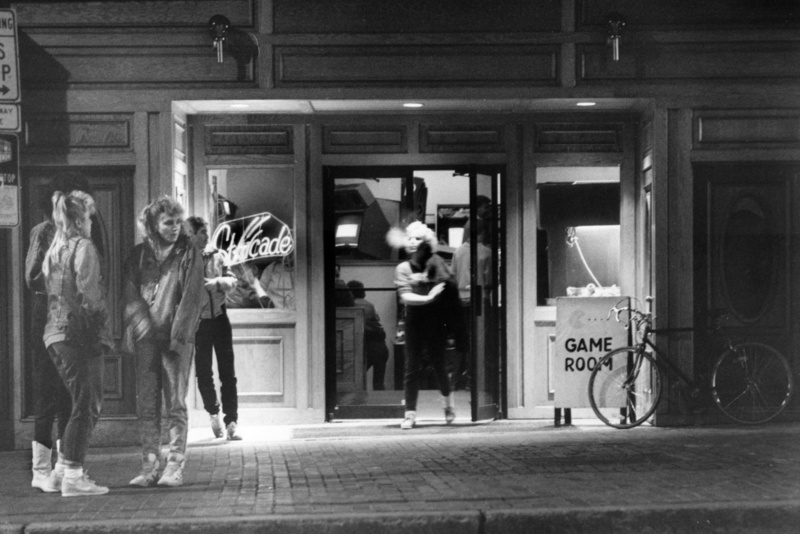 During their opening statements at Sanborn’s 1992 murder trial, both the prosecutor, then-Assistant Attorney General Pamela Ames, and Sanborn’s defense attorney, Neale Duffett, highlighted the difficulty for the jurors, who might have been unfamiliar with Portland’s street life, to step into that world. Transcripts from the trial reveal a city, in the time before cellphones, the internet and social media, where Sanborn, Briggs, Cady and others like them moved around the city on foot and on bicycle. They congregated in city parks, and sipped Allen’s Coffee Brandy stolen from a family liquor cabinet or purchased for them by a stranger met outside a liquor store. Society’s safety net was porous enough that Sanborn, Briggs and countless other teenagers managed to live a life largely without adult supervision, partying when they wanted to and shirking the traditional responsibilities of adolescence. The city, with its dense neighborhoods and cheap rent, was a perfect place for them. “The wharf was failing. I remember prices for fish were fluctuating. Everything was in flux,” said Nicholas Trout, who was a volunteer at the Maine Youth Center and knew Sanborn around the time of his trial for Briggs’ murder. Trout said he spent a lot of time with Sanborn, and learned about his family life and the difficulties he had growing up. It was a story that rang true for many at the time, he said. Aranson, the former Cumberland County prosecutor, said other societal factors contributed to strife at home for some children. After Aranson was elected in 1982, he recalled an explosion of child sexual abuse cases. Domestic violence laws were far more lax then, and police could not arrest someone for a domestic violence battery – a misdemeanor – unless the officer had personally witnessed it. Other kids ended up at the Maine Youth Center in South Portland, now called the Long Creek Youth Development Center. Unlike the adult justice system, where incarceration is a punishment to deter crime, the juvenile system was then – and remains today – focused on rehabilitation. In 1988, Portland hired a new police chief, Michael Chitwood, a brash, media-savvy leader who soon came to loggerheads with the administrators of the youth center over their security policies. In a recent interview, Chitwood said many of the homeless teens on the streets of Portland at the time were runaways from the Maine Youth Center. Security at the center was low, Chitwood said, and teenagers taken there after committing crimes would often walk away within hours or days of arriving. Since the youth center served the entire state, Chitwood said, Portland’s population of runaway teens grew while problems in the rest of Maine lessened. It was a problem he complained about often at the time. In a June 1989 article in the Portland Press Herald after Briggs’ death, Chitwood, in his characteristic style, criticized the facility’s administration. Although police and youth center staff had a responsibility to retrieve runaways, the task was taxing, Chitwood said at the time, suggesting that the youth center staff was purposefully slow to catch runaways in hopes that the children would turn 18 before they were caught and would no longer be the state’s problem. The youth center’s administrator at the time, Richard Wyse, denied that. At the time of her death, Briggs was one of those runaways. Originally from Augusta, she was committed to the Maine Youth Center at age 12 and spent roughly four years there as a ward of the state, returning home only briefly on weekends with special permission. The regimen of treatment and structure at the youth center allowed Briggs to flourish. She did well in her classes and, over time, earned more freedom. 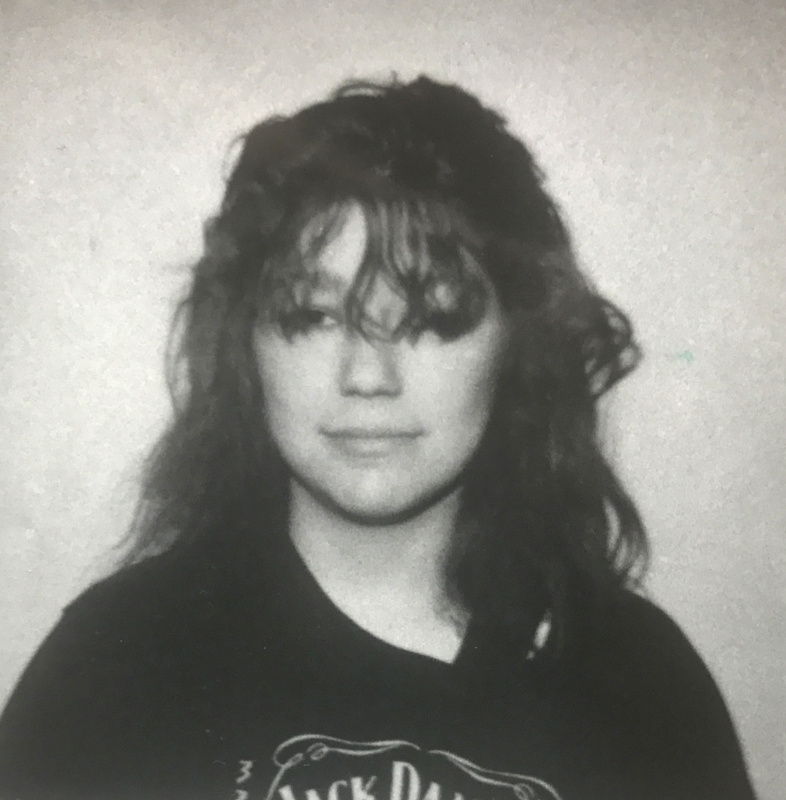 Before her last escape in March 1989, she had been working at the IHOP restaurant as a waitress in South Portland, according to court records and news accounts. Youth center administrators were looking for a home to place her in when she was released, but she left before they could find a suitable place. “She had done a good job toward the end and had been allowed to leave,” then-Corrections Commissioner Donald Allen said in 1989. In a later interview with the Press Herald after her death, the Briggs family described how Jessica adored her half brothers, had taken up embroidery while incarcerated at the youth center, and was trying to turn her life around. The length of her incarceration was due in some part to her frequent escapes, according to news coverage at the time. Sanborn was also a tough kid with a troubled home life. At his bind-over hearing, a proceeding at which the court decided to try him as an adult for Briggs’ murder, a former youth center superintendent said that after Sanborn was first committed to the youth center in 1986, he escaped about four times. Sometimes, Sanborn would stay only a few days. He racked up charges of attempted theft, probation violations, operating under the influence, operating with a suspended license, and giving a false name to police, cycling in and out of the youth center until he was released in June 1988 on a trial basis, with conditions to check in with police. According to Trout, the volunteer counselor at the youth center who spent time with Sanborn in group and one-on-one sessions, Sanborn was mature in a way that others in the secure treatment unit were not. It made him a leader in group settings, because other teenagers respected him. But he was also inscrutable, Trout said. Sanborn’s mother and father were not equipped to care for him, and Sanborn’s strong, quiet personality led him to step out on his own and seek independence. Trout said the freedom of life outside his parents’ home suited Sanborn, and that he had adapted to the street life.